Kirtan is call-and-response chanting rooted in Bhakti (devotional) yoga. The practice of chanting is a method of cultivating awareness and equanimity. Chanting is also a main component of emotional healing in Ayurveda. 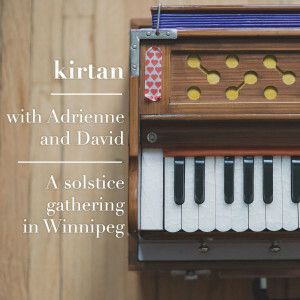 Adrienne leads kirtans alongside her partner, David Quiring. Together they offer this practice to inspire their students to remember that engaging in a yoga practice can mean many things. No previous chanting or musical experience is ever necessary to attend; this practice is an excellent way to delve into the non-physical aspects of yoga, where healing can be found through breath and sacred sound. 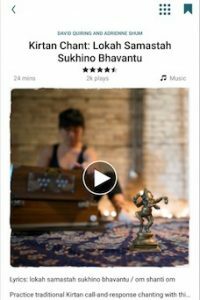 Here are some available live Kirtan recordings that we have released for practice and enjoyment. The latest live album; Adrienne and David act as guides to bring focus on coming back to the basics of sound, meaning, and practice. A group gathered on the winter solstice to honour the passing of the seasons. 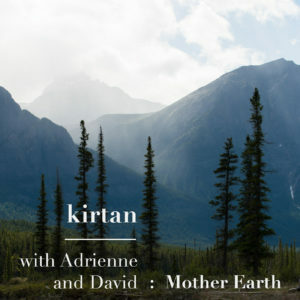 On Earth Day, a special Kirtan devoted chants and stories to celebrating the feminine energy in honour of Mother Earth. 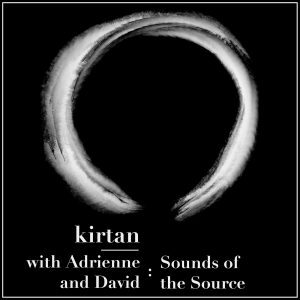 You can also find Adrienne and David’s live kirtan recordings on the Insight Timer app, available on both iOS and Android devices. Insight Timer is rated as the top free meditation app with over 3.4 million users.